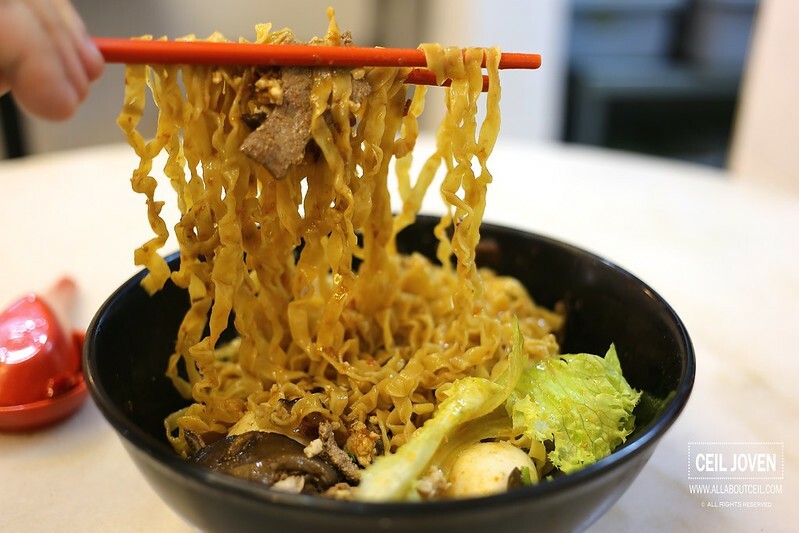 Ever since the closure of Joo Heng Mushroom Minced Meat Noodle at Ang Mo Kio, i have always been looking out for another worthy Bak Chor Mee but i have yet to find a good one and that included some of those big names out there. We were there during lunch. We took a corner seat, right outside their kitchen. We waited for quite a while still no one bothers to take our orders even after few of the customers that came later than us gotten their orders taken. When i started to wonder what happened, finally someone took notice of our presence and came over to do it. 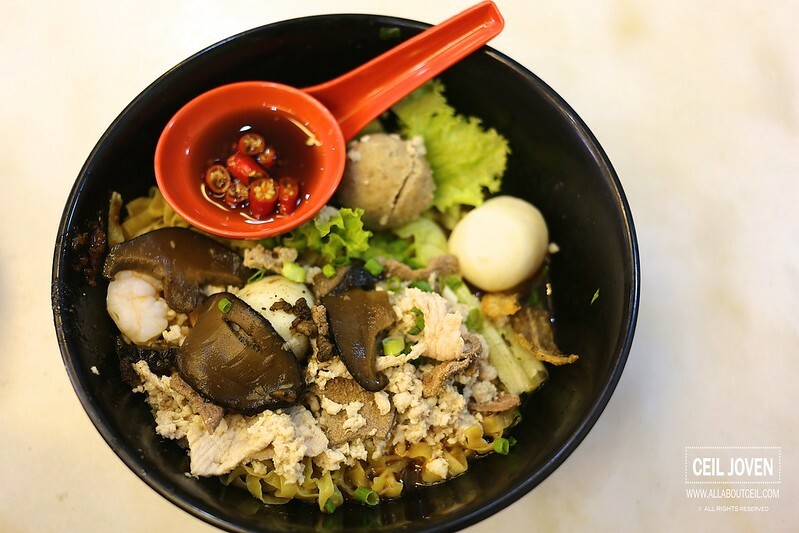 The Bak Chor Mee is at $4.50, $5.50 and $6.50, i decided to go with $5.50, in between the lowest and the highest price. And, my lunch companion decided to go with the fishball noodle for $4. We were asked to pay right after. 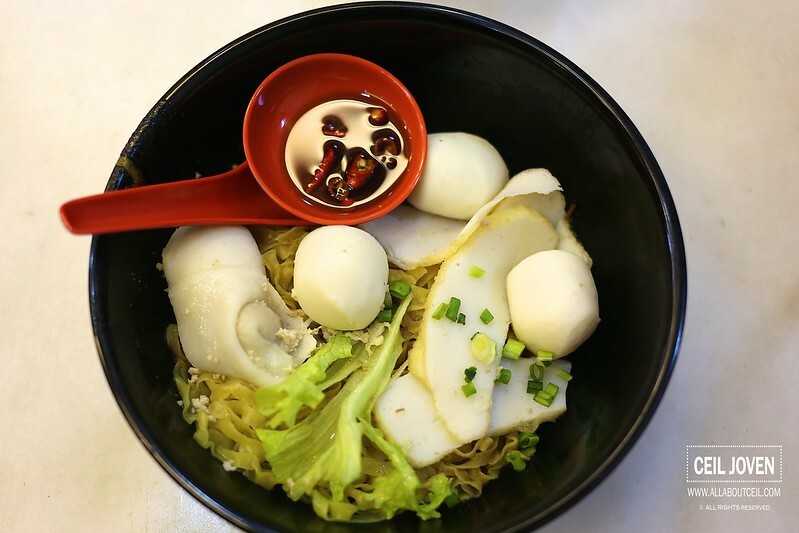 The fishball noodle came first then followed by the Bak Chor Mee. 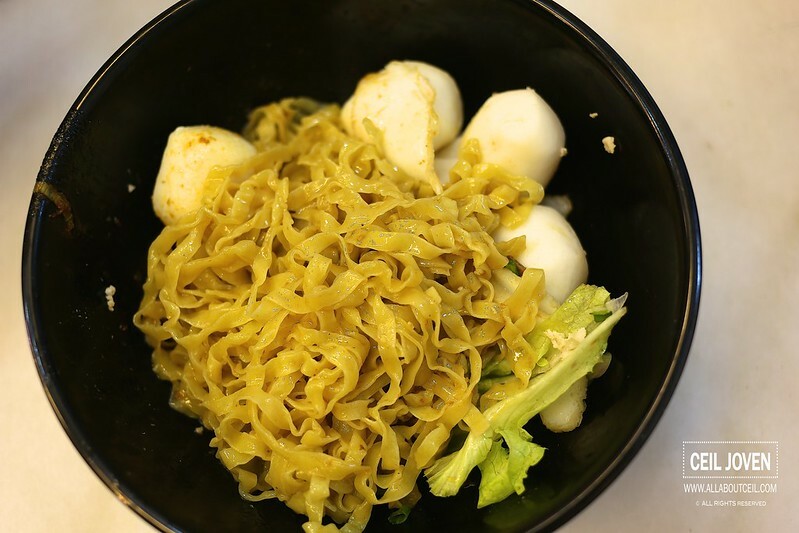 A substantial portion of mee pok was served with 3 pieces of fishball with a few slices of fishcake with a fish dumpling. The portion was rather alright for $4 but it did not taste as good as expected. The texture of fishball was quite disappointing, it did not taste as springy and as soft as expected. 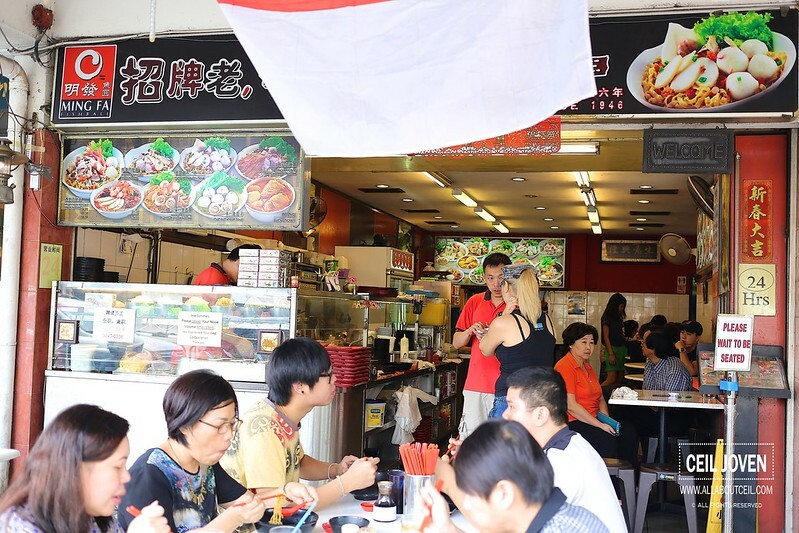 The portion of Bak Chor Bee was equally good with a generous amount of ingredients like braised mushroom, minced meat, meatball, fishball and slices of lean meat to justify its price. 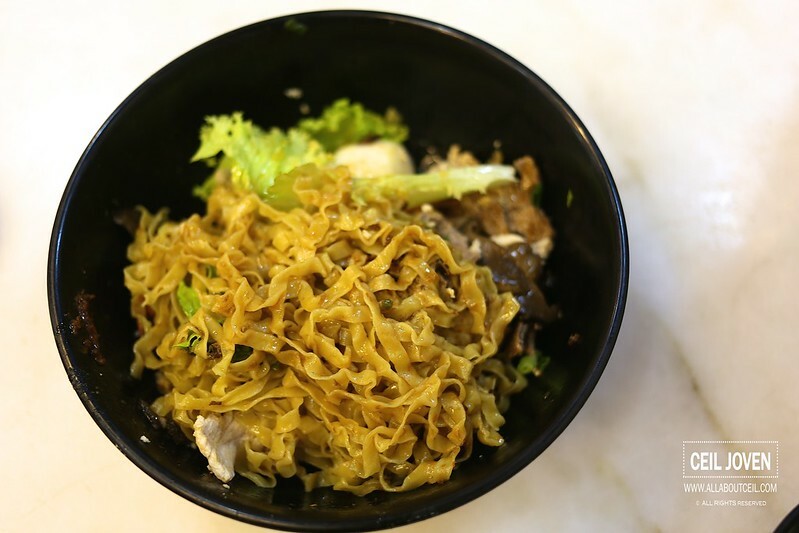 The texture of noodle was cooked al-dente to give it a noticeable springiness. 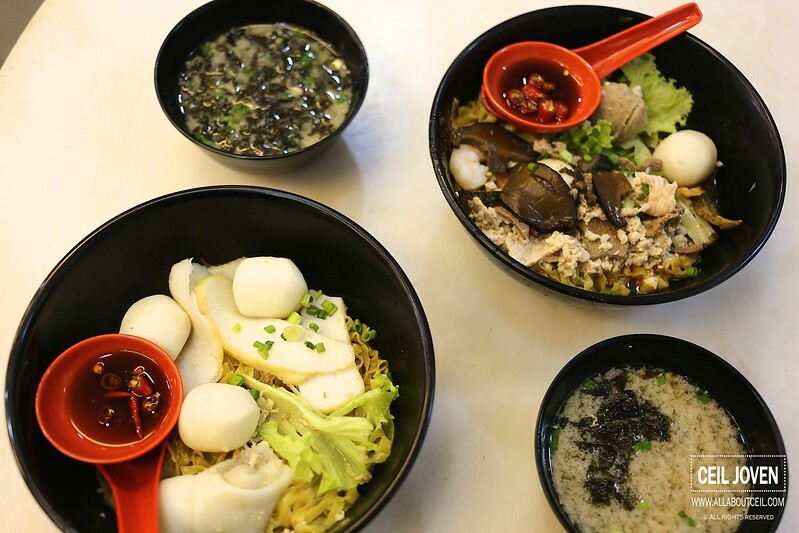 Both bowls of noodle came with small bowls of hot soup with dried seaweed in it. Apparently, it tasted like quite a bit of MSG was added to enhance the taste as an excessive thirstiness was felt much later. It tasted quite alright in general though i am not sure whether would i make an effort to be back.